Preheat the oven to 450F (232 C). Boil the pasta one minute under package instructions. Put 1 tbsp (15 ml) truffle oil in a skillet over medium heat. Quarter the shallot while the pan heats up. Add the shallot to the truffle oil then mince the garlic. Add the garlic, cook for another 1-2 minutes. Transfer the shallots, garlic, and oil to a high-speed blender. Add the nutritional yeast, soaked cashews, lemon juice, tapioca starch, water, salt, and white pepper. Blend for 2-3 minutes until smooth. Drain the pasta into a colander then place the pot back on medium-high heat. Transfer the cheese from the blender to the pot. Stir the cheese as it cooks and thickens about 2-3 minutes. When most of the lumps are gone, add the pasta and 1 more tbsp (15 ml) truffle oil. Stir well then transfer to a lightly oiled casserole 8X8” dish. Top with breadcrumbs and optional vegan parmesan shreds. Bake for 8 minutes until golden and crispy. 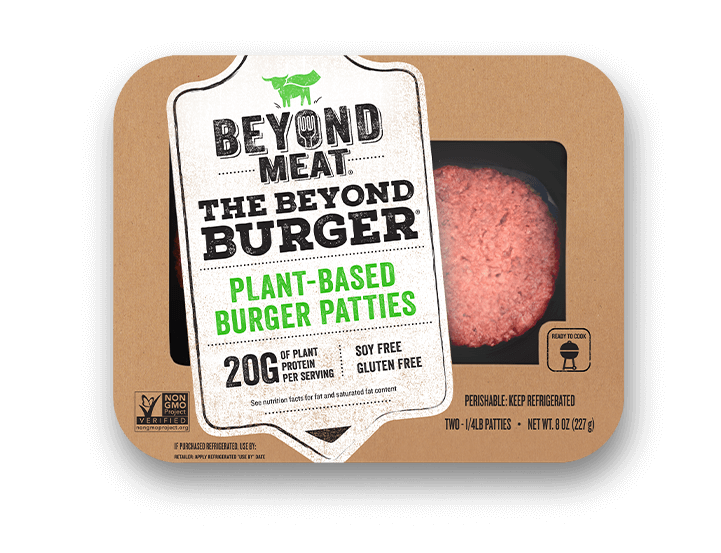 Meanwhile, grill the Beyond patties according to package instructions. Toast the buns. Layer the lettuce and tomato on a toasted bottom bun. 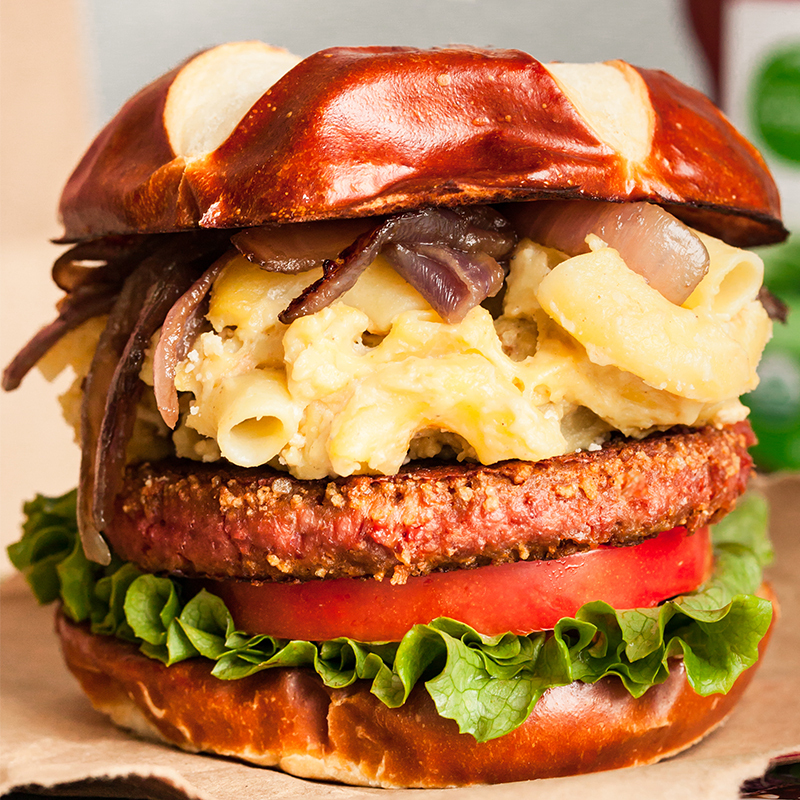 Top with the grilled Beyond burger, a generous scoop of Truffle Mac & Cheez, and caramelized onions. Note: Soak the cashews for 4 hours or overnight then drain. If you’re in a hurry, boil them for 10 minutes to soften then drain.